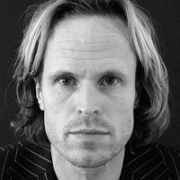 Filip Nilsson is Creative Director and Chairman of Forsman & Bodenfors in Sweden. For more than 10 years, F&B has been the leading agency in Sweden and Scandinavia, creatively and in business terms. The list of clients include many major Swedish brands like IKEA, Volvo, Tele 2, Libero, Swedish Television etc. F&B is one of a handful of agencies who have been in The Gunn Report Top 50 list, five years in a row. The last two years F&B has also been ranked as one of the world's top ten web agencies. In early 2006 Nilsson was again voted Best Creative Director in Sweden. He has also been awarded Best Copywriter in Sweden several times. Nilsson will head the Swedish Gold Egg Jury in February 2006. He has been a jury member in most big international award shows and will be part of The Cannes Titanium Jury 2006.